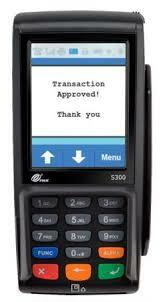 We are happy to announce that we have completed integration the PAX S300 credit card processing device. This device communicates directly to our credit card processor. It is capable of accepting credit chips, swipes, manually entered cards and even proxy reads of cards and other card payment devices. Protivity utilizes the PAX device during the checkout process as well as the enter your EFT account process. All orders for PAX S300 devices must be made through Symmetrical Solutions so they can be configured to properly work with Protivity.